The base rate includes the main building which has 2 king beds, kitchen, living area and observation deck. 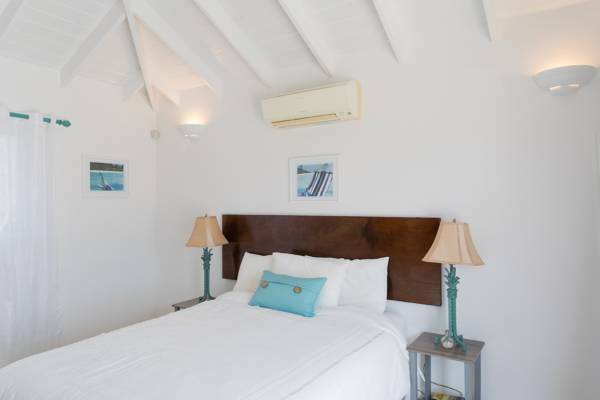 There is a fee of $100.00 for each additional room per night up to 5 beds. 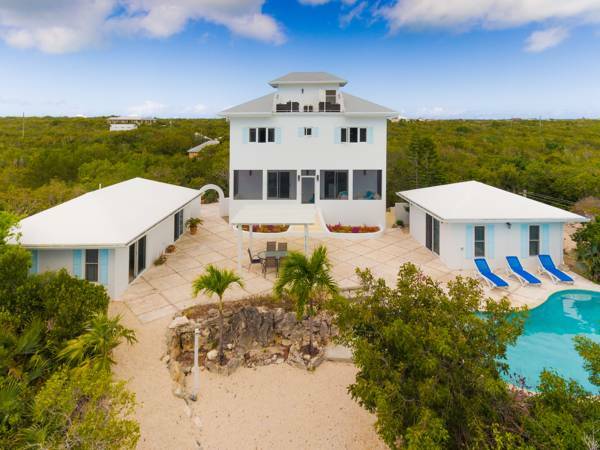 Surf Lodge is a beautiful and tranquil 5 bedroom villa with a pool and rooftop deck. 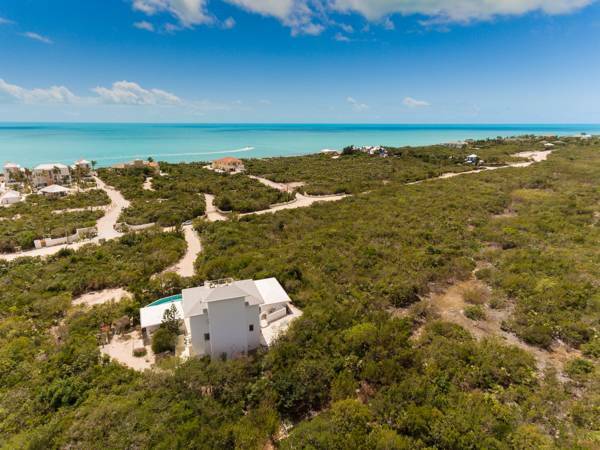 It is located on the south side of Providenciales in the very exclusive Long Bay Beach neighborhood surrounded by multi-million dollar homes. 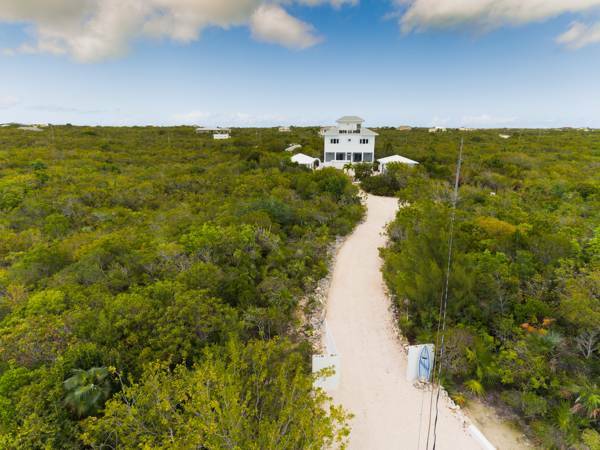 Only a 2 minute walk from the villa to beach access and Long Bay Beach! 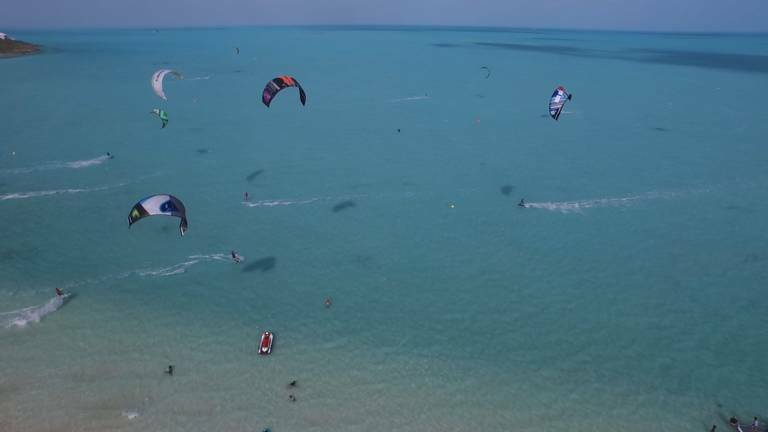 Long Bay Beach’s crystal clear and shallow waters are perfect for kite surfing, paddle boarding, snorkeling or enjoying long strolls. 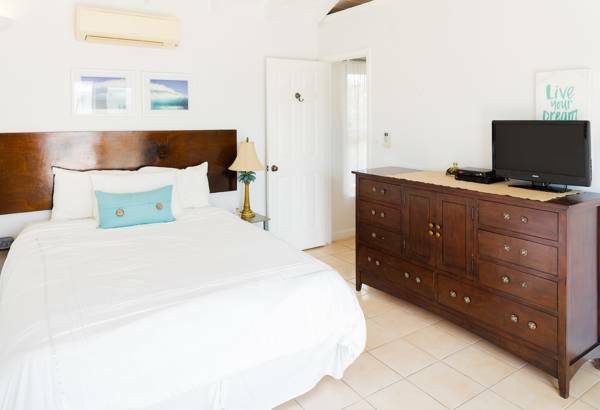 Surf Lodge is ideal for small groups, like professional kite surfers or large groups like families seeking a secluded, serene, safe and affordable getaway to paradise. You enter the main building through a cozy screened porch. 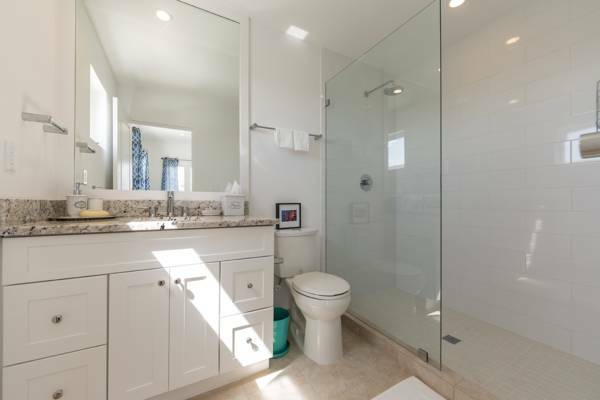 Inside on the main floor you will find a fully equipped kitchen, dining table, living room and half bath. 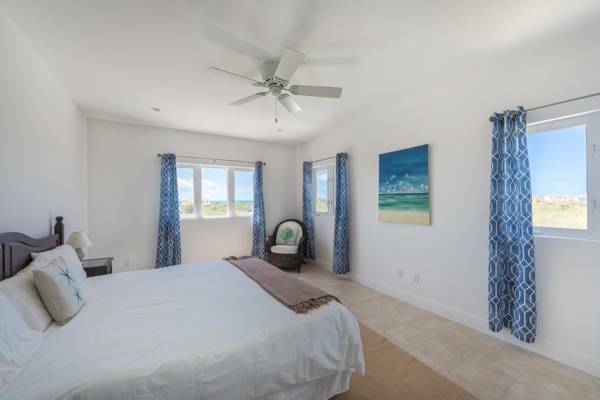 The second floor houses 2 king bedrooms, each with its own spacious walk in closets, split unit A/C’s, en suite bathroom and ocean views. A few more steps up and you will be on the rooftop deck for everyone to enjoy. 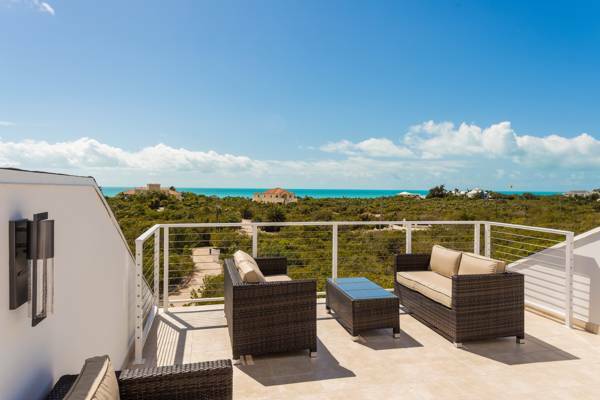 With ample seating and a spectacular 180-degree view of Long Bay Beach. 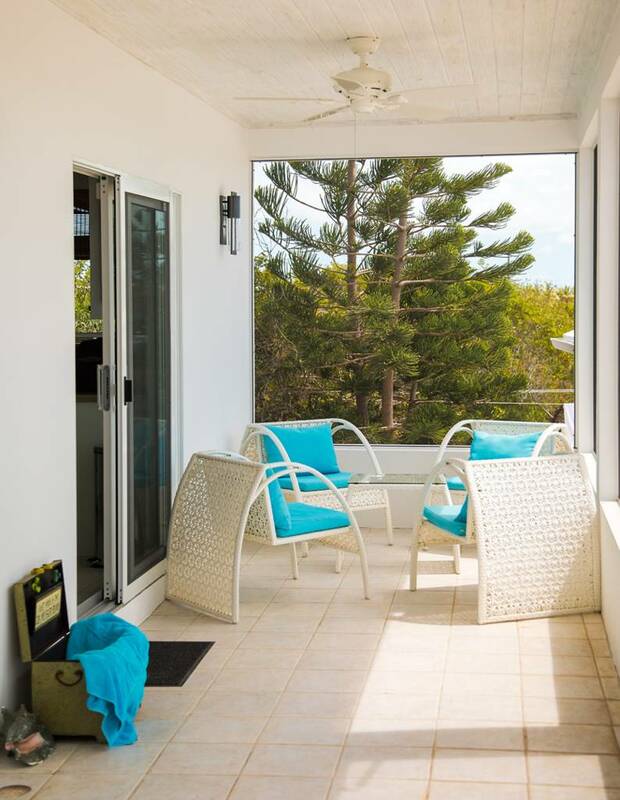 This deck is ideal for relaxing under the stars, yoga, enjoying drinks with company or watching the sun come up over the tranquil waters of Long Bay. 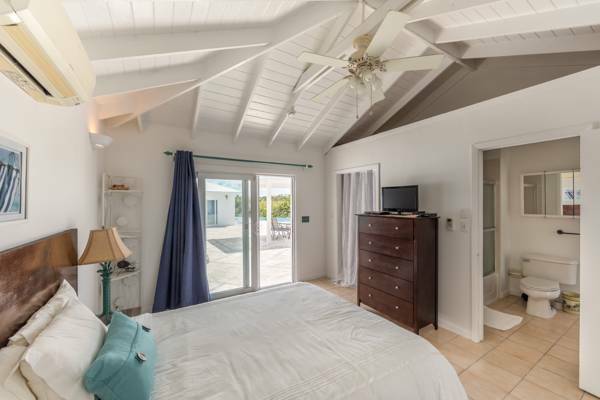 To the right of the large courtyard and pergola you will find a single bedroom guest house. 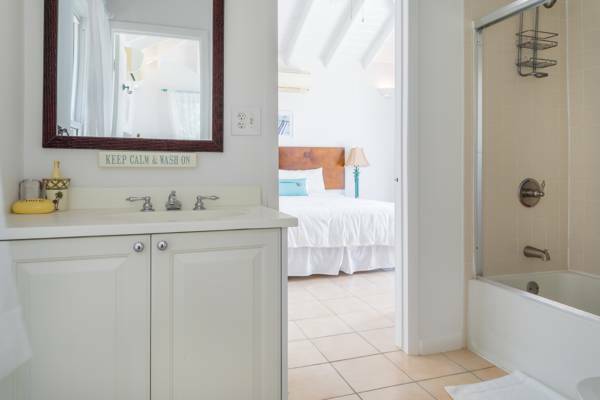 This guest house has a queen bed, walk in closet and an en suite bathroom. To the left of the courtyard is a second guest house, this time with 2 large suites sharing a central bathroom. 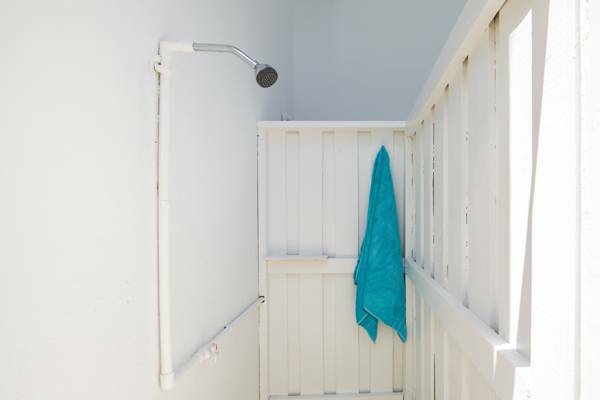 Both guest houses have their own secure access to the courtyard and pool deck. From the courtyard you can enjoy the large kidney shaped pool which is ideal for cooling off after a long day at the beach or just lounging around. 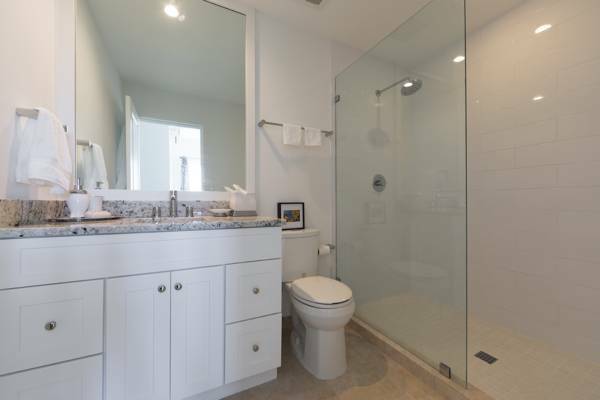 Last but not least is an outdoor shower and laundry room for your convenience. 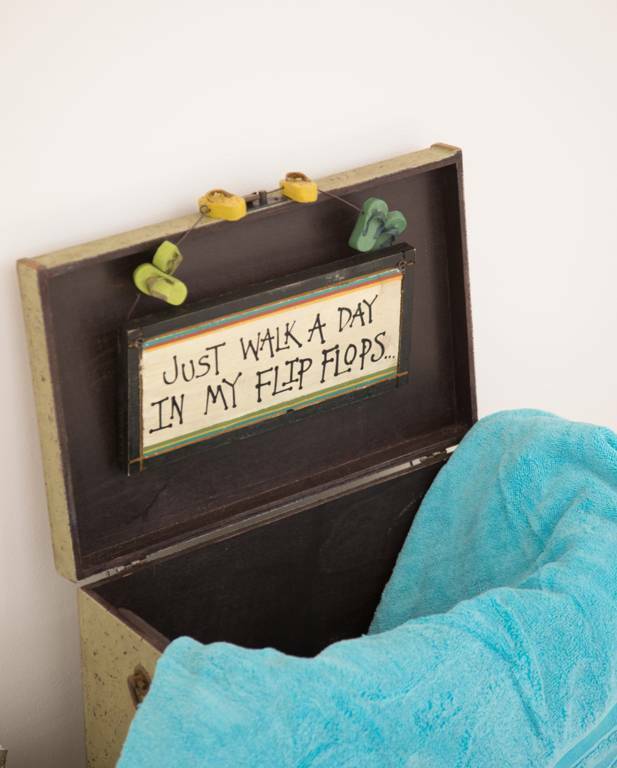 Surf Lodge is less than 10 minutes from the local gourmet Graceway grocery store. 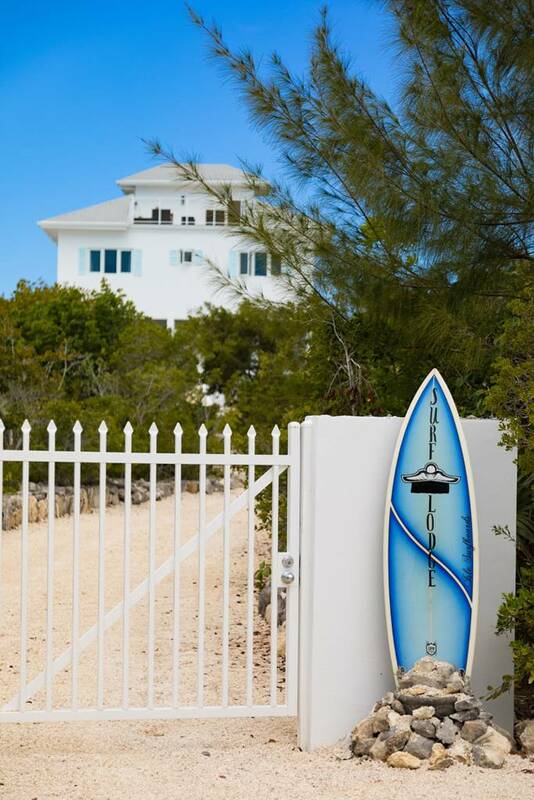 The Surf Lodge is designed to accommodate guests as a 2, 3, 4 or 5 bedroom villa with the max occupancy topping off at 10 adults.